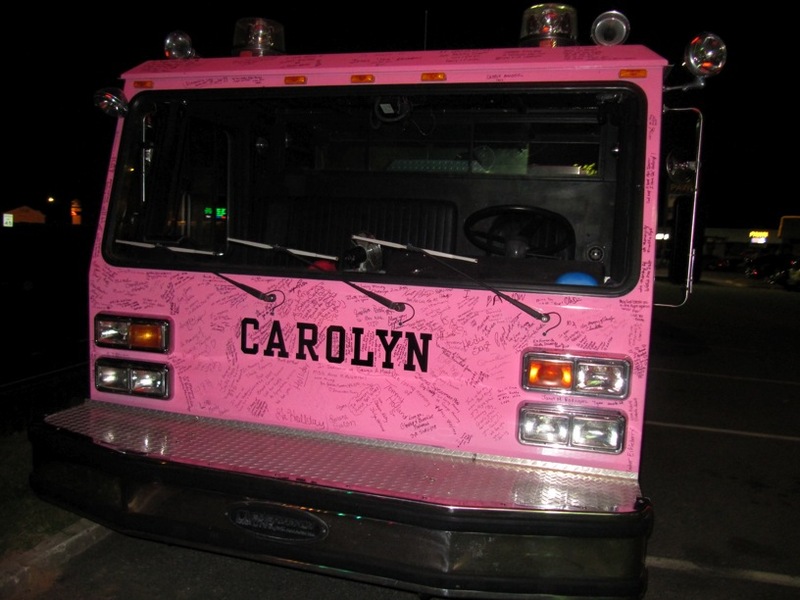 Last night we drove to Kennesaw to Hooters and saw the pink firetruck. It was donated by Liberty County Fire Services to Ft Stewart/Hunter AAF Fire Dept for the purposes of raising money for Cancer Awareness and Causes. 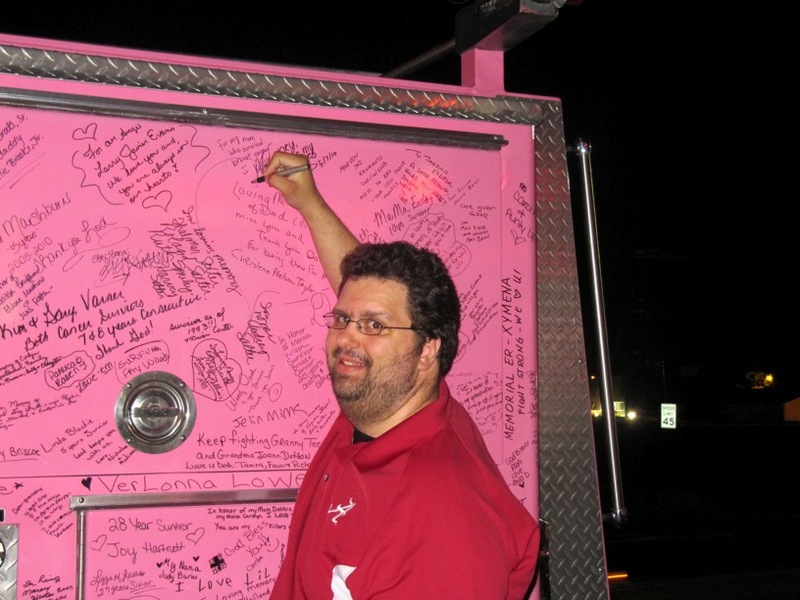 It was pretty neat to see, and Mike got to sign it in honor of his mother, a Breast Cancer survivor.